Osteoarthritis or "Wear and tear" arthritis of the knee is a very common and often disabling condition. Factors contributing to this painful condition include years of high activity, previous injury and excess body weight. It is progressive and usually painful. Conservative treatment such as Tylenol, anti-inflammatory medicines or injections of cortisone or lubricants can reduce symptoms, but often only for limited time. Traditionally, when these fail, the next choice is a knee replacement. A New York physician developed a more conservative approach for some patients. John Repicci, DDS, MD, after studying the problem of knee arthritis decided to apply the principles he had originally learned as a dentist and would fit and fill only the worn portion of the knee. Most people develop painful knee arthritis in only one of the three joint areas of the knee. Dr. Repicci reasoned "When only one third of the knee is worn, why do we remove the whole knee?" 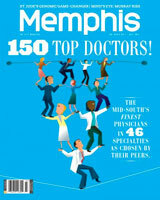 Memphis orthopedist Larry Schrader, M.D., trained with Dr. Repicci to learn this procedure. 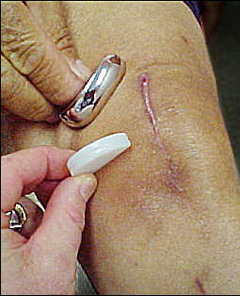 "Amazingly, surgery can be done through two or three inch incision," said Dr. Schrader, "With very little blood loss. " About half go home the same day and most rehabilitation can be done at home in a matter of weeks. Dr. Schrader says this technique is meant as a bridge to treat the pain of arthritis with a minimally invasive procedure and delay the need for a total knee replacement. 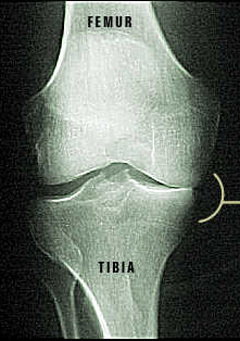 90 to 95 percent of these partial knees are functioning well after 10 years and many patients may never require a total knee replacement. So who would benefit from this procedure? Your own physician can help you with questions, and of course each individual situation may vary. For more information or to schedule an evaluation with Dr. Larry Schrader, call Mid-South Orthopedic Associates at 901-465-4300. Notice how the femur is rubbing against the tibia. That is because the cartilage on top of the tibia has been damaged. Since only one side is affected, a partial knee surgery is possible. 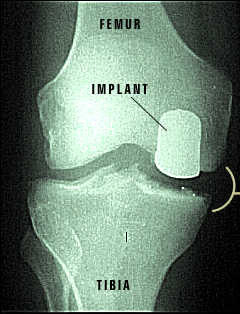 The partial knee implants have returned this knee joint to its normal functioning. You can see the difference made by the implants when compared to the damaged knee before surgery. Dr. Schrader shows a patient how the partial knee implant has been positioned in the knee.